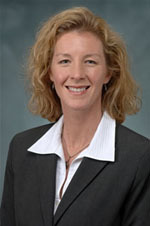 Melinda Wells Valliant, PhD, RD, LD, CSSD, is the director of The Center for Health and Sport Performance. Dr. Valliant completed her doctoral studies at The University of Mississippi in University, Mississippi. Building upon a clinical nutrition and an exercise science background, her research focuses on best practices in sports medicine particularly related to health and safety of athletes.